West Bengal, the gateway to the exotic east - is a land of passion and poetry, natural beauty and strong people, marked by a humane element, evident in every facet of their life. Bengal has a long history that dates back, before the Aryan invasions of India. Known as 'Gauda' or 'Vanga' in ancient Sanskrit literature, Bengal had a well settled civilisation and culture, at the time of the Aryan penetration. An integral part of succesive empires of the Mauryas and Guptas, Bengal also had its own dynasty of independent rulers, the Palas, who extended the existing boundaries, considerably. The Senas and the Muslim Sultanate who occupied Bengal, shaped the distinct identity of Bengal. 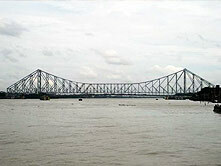 This fascinating land of the Hooghly, has a lot to offer to avid travellers. 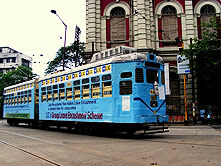 Calcutta, a unique city with its intriguing environs; Digha, the land of sand and sea; Vishnupur, an architectural treasure house; Shantiniketan, Tagore's abode of peace; the lost empire of Murshidabad; Malda-Gourand Pandua, relics of the Muslim rule; Darjeeling-a magnificent hill resort; the wildlife sanctuary at Doars, and the marshy mangrove jungles of Sunderbans, home to the Royal Bengal Tiger, are some of the major attractions of this fascinating state. 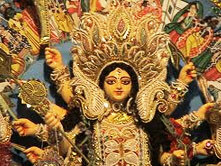 Bengal finds a coveted place even in pre-historic times. At the time of Alexander's invasion a powerful king called Gangaridai ruled over Bengal Ascendancy of the Guptas and the Mauryas had little effect on Bengal. Later Sasanka became King of Bengal and is said to have played an important role in north-eastern India in the early half of the seventh century. He was succeed by Gopala, who founded the Plaa dynasty which ruled for centuries and had created a huge empire. The Pllas were followed by the Sena dynasty which was ended by Muslim rulers from Delhi. Various Muslim rulers and governors till the Mugahal period in 16th century ruled Bengal. 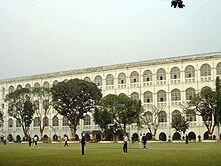 After the Mugahls, history of modern Bengal begins with the advent of European and English trading companies. the Battle of Plassey in 1775 changed the course of history when the English first gained a strong foothold in Bengal and India. In 1905 it was partitioned to achieve some political returns but people's growing movement under the auspices of the congress Party led to the reunion in 1911. This triggered of the hectic movement for freedom which culminated with Independence in 1947 and partition. 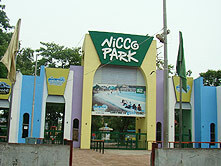 After 1947, the merger of native settlement began which ended with its final reorganization in 1956 when some Bengali speaking areas of a neighbouring state were transferred to west Bengal. Museums uphold national heritage and promote international understanding. 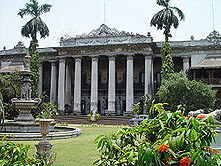 West Bengal pioneered modern museum development in India with institutions like the Asiatic Society (1784), the Indian Botanic Garden (1787) and the Indian Museum (1814) - institutions which are among the oldest in India and till today remain. 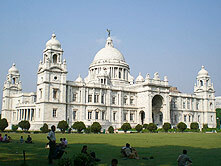 Calcutta, the capital of West Bengal, is connected with Delhi, Mumbai, Chennai, Patna, Ahmedabad, Bangalore and other important cities. Calcutta also has a busy international airport. 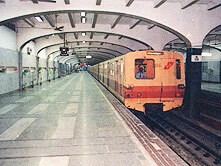 Calcutta is connected with all major cities. Calcutta is connected by road with Delhi (1495 km), Mumbai (2060 km), Chennai (1734 km), Varanasi (676 km), Puri (555 km), Guwahati (1164 km) and Darjeeling (731 km).